The Discover with Dr. 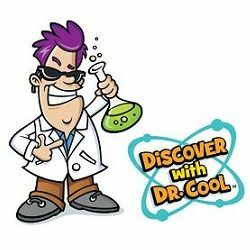 Cool science line is all about the thrill of adventure—something we believe drives all scientific discoveries. Our mission is to show kids the cooler side of science with our unique series of earth science kits. Each kit offers an exciting hands-on experience that will inspire young learners with the wonders of the natural world. Dr. Cool kits are so much fun that kids won’t even realize they’re learning!